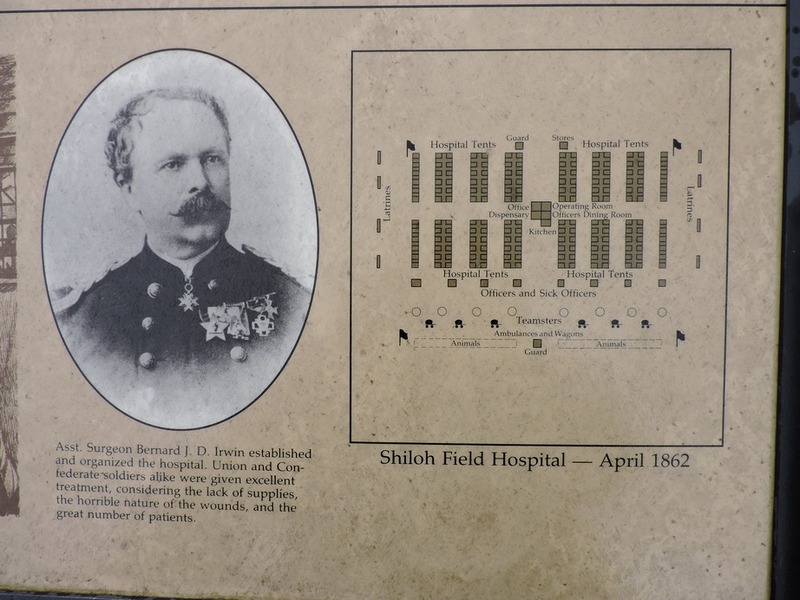 I've been wanting to tour the Shiloh battle field for years. 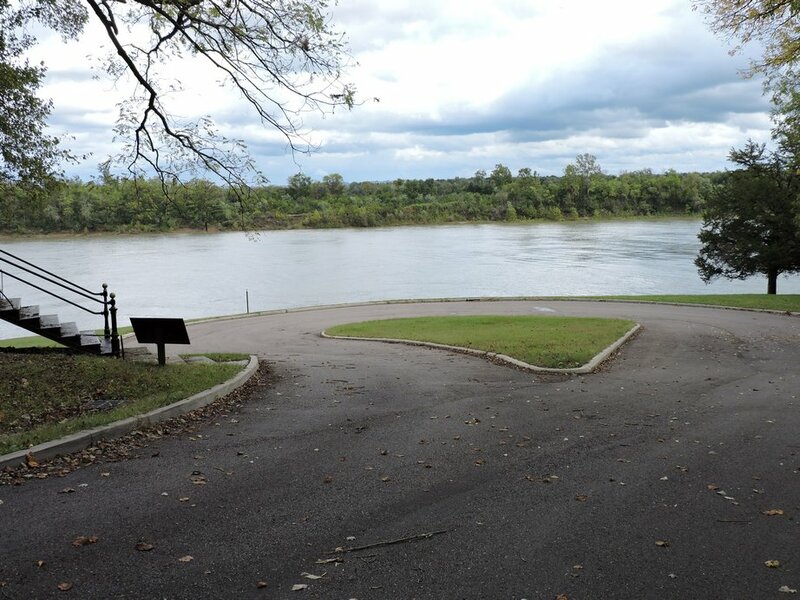 Two of my great uncles were a part of the Army of Ohio that fought here. So I was anxious to learn about the battle, and see where it happened. These two brothers were doctors from Morrow Co. Ohio, when they enlisted. The enlisted in the infantry but were soon reassigned to the hospital train. So a big question I had about their participation was, when did they arrive and what role did that actually play. I think I got at least part of that answered. At the battlefield, we stopped at the visitors' center, and watched the video. We missed the first 10 minutes, but I don't think we missed much. I already had a fairly good understanding of the course of the battle from books I'm reading. The video completely skipped mentioning that the Army of Ohio started arriving on Sunday evening and came via boats to the Pittsburgh landing. It simply said, "On Monday, Don Carlos Buell's Army of Ohio had arrived." It made me wonder what other "little" details it left out. The big question I about my Uncles' involvement was when did they actually arrive? They were part of the 15th OVI, which arrive early on Monday AM, but since they were assigned to the hospital train my assumption is that they did not come with the main body of troops but rather came later with the hospital train which probably was last. But I'm just guessing. We walked down to the Pittsburgh landing and then back up to the book store via the cemetery. You can see the stairs going up to the cemetery on the left in the photo above. 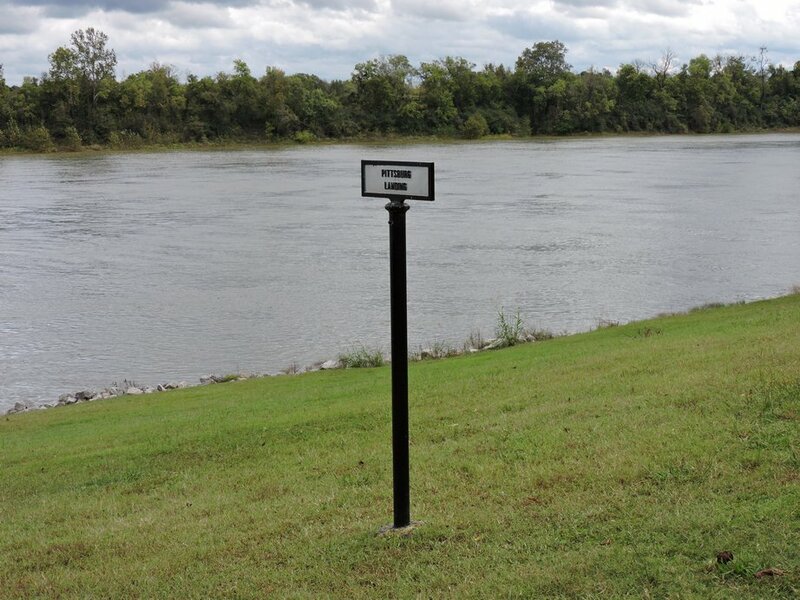 Right at the river. I'm sure the nice limestone rip-rap wasn't there at the time. I imagine just a muddy bank. 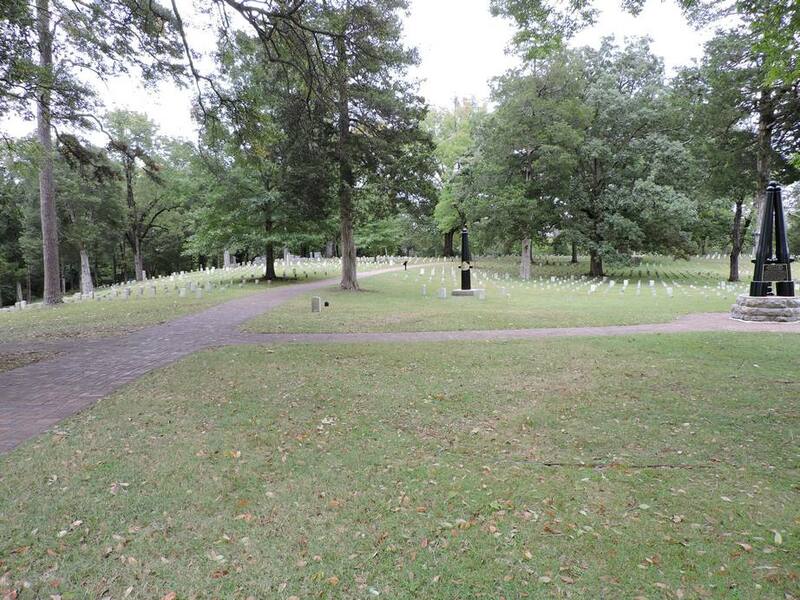 These are just Union graves. 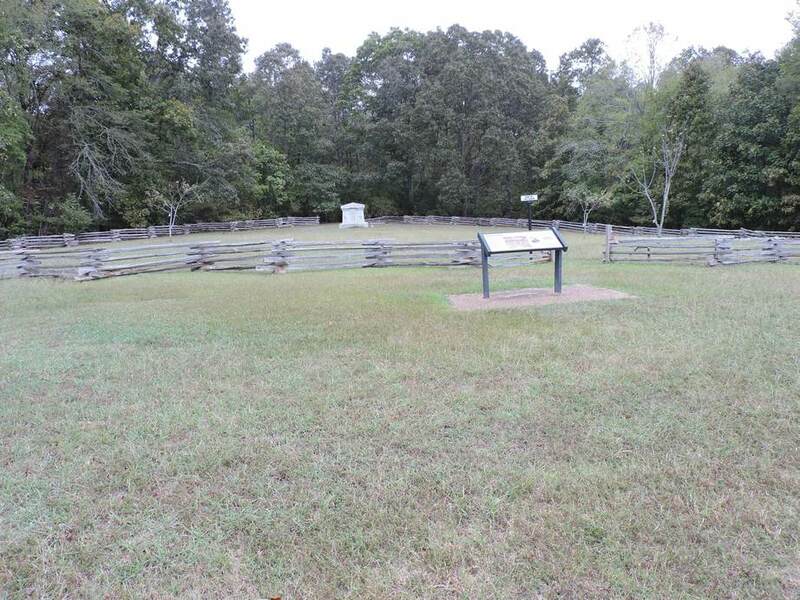 The confederates were buried in several trenches at various locations around the battlefield. There are several places designated where these mass grave trenches were later found and the bodies re-interred. Then we took the driving tour, looking for the 15th Ohio monument. We saw many, many monuments and plaques, but we didn't take time to examine any in detail. We were really just looking for the 15th OVI monument. We did stop briefly and look at the church. 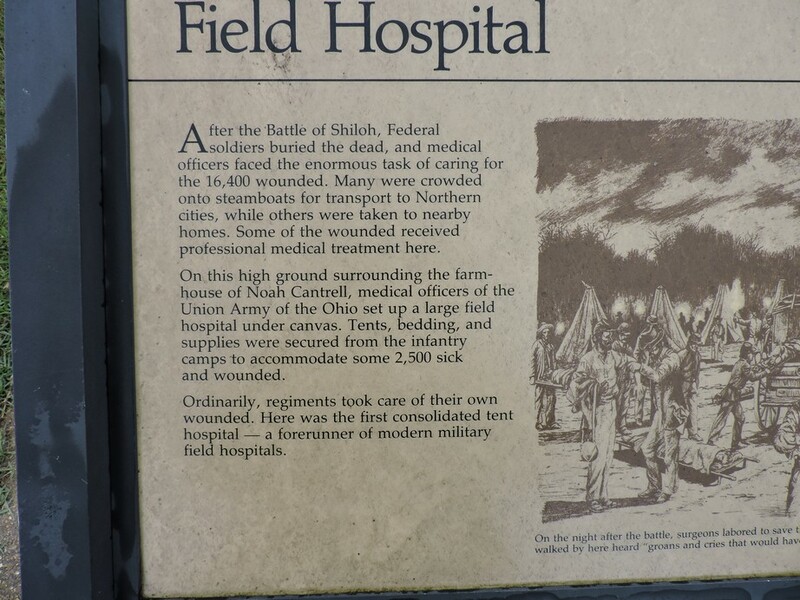 We were nearly at the end of the tour when we came upon a marking describing how the Army of Ohio medical team set up the first tent hospital used in the Civil war. Perhaps any war. This was lead by the Medal of Honor winner (for action in the Southwest against the indian in Feb. 1861) Asst. Surgeon Benard J. D. Irwin. I think it is safe to assume that the Mosher brothers were involved with that. Right side of the sign. I learned later that Asst. Surgeon Barnard J.D. Irwin was the first Congressional Medal of Honor winner ever. He was awarded the medal for voluntary actions he took in February 13-14, 1861 in Arizona against the Apache Chocise. And now we see him in April 1862 being creative and changing the way medicare is provided on the battlefield. 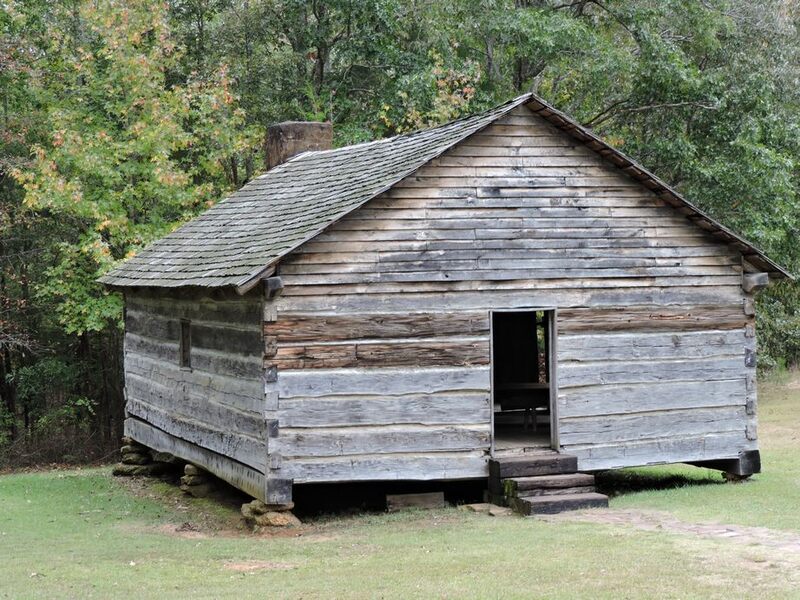 I feel certain that Uncle Doc and Teddy, were serving in this field hospital. 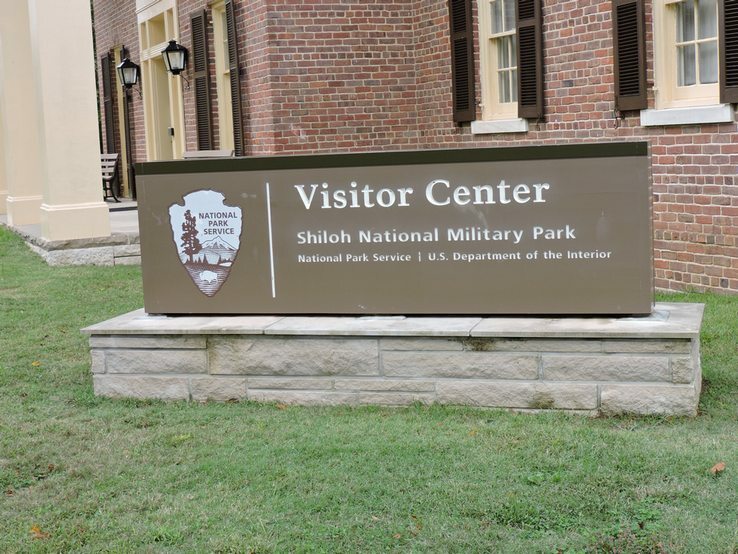 So it was very gratifying going to Shiloh battlefield.